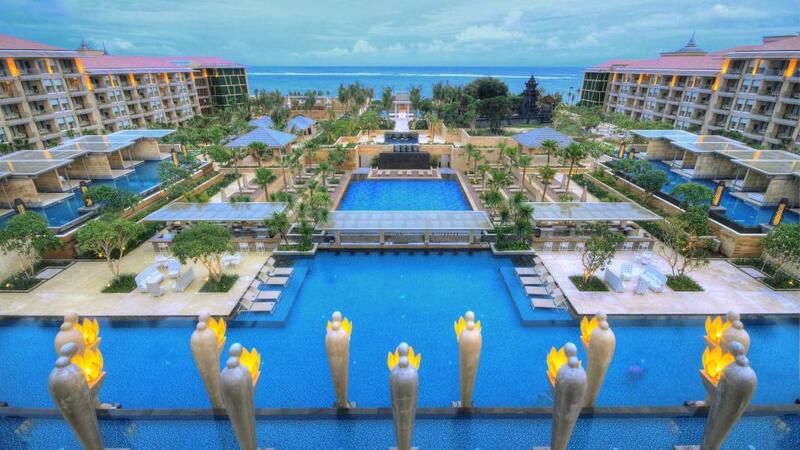 The Mulia, Mulia Resort & Villas offers 5 star luxury in Bali accommodation on the shores of Nusa Dua. Comprising of 3 unique resorts and situated along 1 km of private beach, this property is sure to please all holiday makers from couples to families alike. On site resort facilities include swimming pool, kids club, day spa and restaurants & bars.